Plan to be in Ludington this Summer for our Biggest Events! Don't miss the Annual Home & Outdoor Living Show sponsored by the Home Builders Association of West Michigan. This popular show was held at the Little River Casino Event Center in Manistee. Hours for the Home & Outdoor Living Show are Friday: 1-7pm, Saturday: 11-7pm, and Sunday: 12-4pm. Admission is free for all ages. 3 Daily Door Prizes (Fire HD8 Tablet) will be awarded; you need not be present to win. 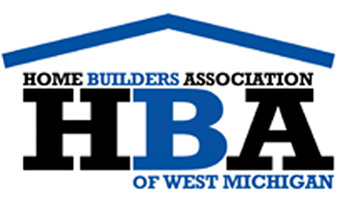 The Home Builders Association of West Michigan has exhibitors representing a full range of topics that relate to homeowners or prospective new home builders. Decorating ideas, ideas for fixtures and coverings, windows, roofing, siding, insulation, landscaping, ponds....whatever the interest, there are vendors on site to show you what is available and to answer your questions. It's a great opportunity to research, learn, dream, plan, and get to know the various contractors ready to help you make your dreams a reality. This is the show to attend, so mark your calendars now for this once a year event. Booths for future Home & Outdoor Living Shows may be reserved by calling Bob Collins, Home Builders Association of West Michigan director, at (231) 854-8000 or hbawestmichigan@gmail.com. Fix a Torn Window Screen Fast and Easy! What a Difference an Edge Makes! Locally Sourced Foods: A Great Way to Support the Community! Make the Best of Summer with Home & Garden Living! Petri Gallery...Now Two Locations in Pentwater!! Satisfy Your Sweet Tooth with Homemade Local Jam from the Jam Farm! Shop at Yada Yada Resale and Support a Great Cause! Copyright © 2019 The content of this website is the property of Advantage Marketing & Publications, Inc. Website content may not be reproduced without our written permission.